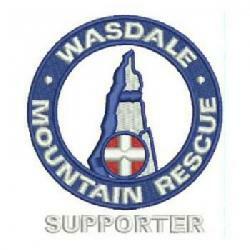 A group of 3 people reported themselves lost on Scafell Pike. The Deputy Team Leader established their location over the telephone (top of Lingmell Gill, near Lingmell Scars) and gave guidance to get them to reach the nearest path. Incident started at 21:55. Incident occured at NY 20022 07635 (529m).